I received this wonderful thank you from a graduate education class at Framingham State University. I love the poem they wrote. 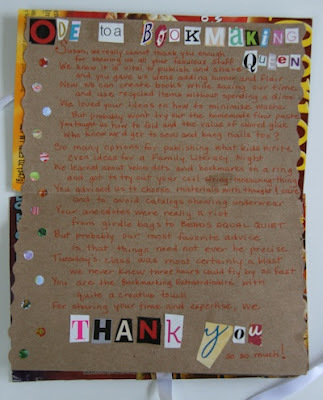 In addition to their most welcome kind words, I appreciated that they really understood my approach and made the thank you from recycled materials. Who knew we'd get to sew and bang nails too? 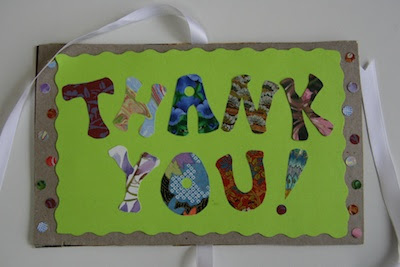 For sharing your time and expertise, we thank you so so much! Glad you shared this poem, Susan! What a heartwarming & amusing response to your work!